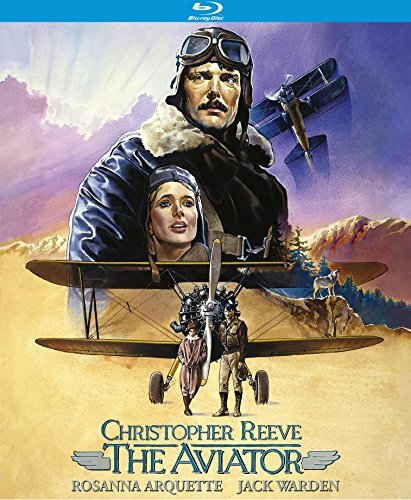 Christopher Reeve (Superman) and Rosanna Arquette (The Executioner s Song) co-star in this thrilling post-World War I drama about survival, romance and the resilience of the human spirit. As a solo pilot for the nation's newly formed airmail service, Edgar (Reeve), a man haunted by a tragic memory, has made a career of keeping to himself over the years. One day he's assigned an involuntary passenger: the rebellious and outspoken Tillie (Arquette), whose unrelenting impudence drives Edgar crazy. But when their plane has to crash-land in a rugged and desolate mountain canyon, the unlikely companions find they have only one source of hope against the excruciating elements, the savage wilderness and a pack of hungry wolves: each other. George Miller (The Man from Snowy River) directed this high-flying action-adventure featuring a stupendous cast that includes Jack Warden (12 Angry Men), Sam Wanamaker (Raw Deal), Scott Wilson (The Grissom Gang) and Tyne Daly (TV's Cagney & Lacey).